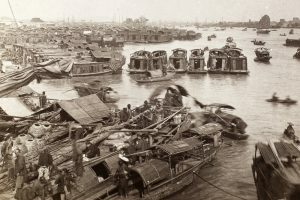 By the Qing (1644-1912 CE) dynasty, the term ‘Tanka’ (pinyin: Danjia) became a common designation for people who lived on boats in the provinces of Guangdong, Guangxi, and Fujian. Throughout the development of the term ‘Tanka’, its various usages and iterations were always denigrating and alienating. Considered a base people, the Tanka were largely excluded from Chinese society on land. Marginalisation led to desperation and piracy. By the nineteenth century, the trope of ‘impoverished fishermen and destitute Tankas’ had been established as the source of many of China’s pirates. While Tankas became a scourge to Qing order on the southern coast of China, their marginal status also made them willing collaborators with foreigners, who appeared there in increasing numbers to trade. The British colonisation of Hong Kong relied heavily on Tanka collaborators who helped literally build the colony and supported the colonial government by providing revenue and assisting in administration of the Chinese. At the same time, many Tankas continued their piratical activities, justifying a large British naval presence and colonial assertions of power that culminated in the colonisation of Kowloon, expanding the colony of Hong Kong. As foreigners, particularly the British, began to increase their presence on the China coast, the Qing sought to minimise contact between Chinese and ‘eastern barbarians’, as they called the Europeans. As a result, foreigners in Canton could often only employ Tankas, whose ostracised status meant they could work for the barbarians without suffering further damage to their reputation. Tankas played an important role as middlemen between the various customs officers, official merchants, and mandarins with whom the British had to communicate to conduct trade. 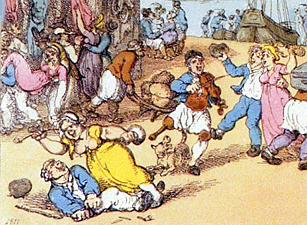 Amicable, if opportunistic, connections between British merchants and Tankas had developed before the 1839. When the first Opium War (1839-1842) broke out, many Tanka sided with the British, providing much-needed provisions. Given the longstanding relations between the Tankas and the British, it is likely many of the traitorous Chinese (hanjian), on whom the Qing placed blame for their reverses during the first Opium War, were Tankas. The Tankas thus helped the British achieve the military victories that resulted in the colonisation of Hong Kong. On 20 January 1841, Captain Charles Elliot, the British plenipotentiary in China, announced that he had negotiated the ‘cession of the island and harbour of Hong Kong to the British crown’. The Foreign Secretary, Lord Palmerston disapproved and famously chided Elliott for having obtained ‘a barren Island with hardly a House upon it’. Though not entirely accurate, the description reveals one of the difficulties of the British in finding collaborators with whom to build a new colony. Hong Kong’s liminality on the southeast fringe of the Qing Empire and its relatively low population, estimated at about 4000 in 1839, precluded the pre-existence of a powerful elite on the island. Most of the villages and fishing anchorages on the island were claimed by absentee land-owners on neighbouring islands or on the Chinese mainland. Unable to co-opt local elites as none existed on Hong Kong Island, the British instead sought collaborators among the hanjian of the Opium War. In addition to securing an amnesty for Chinese collaborators, many of whom were Tankas, in the Treaty of Nanking, the British in Hong Kong provided an environment where many could thrive, free of the prejudices of the Qing. The Chinese were essential to the success of the British colony of Hong Kong. John Francis Davis, second governor of Hong Kong, wrote to Gladstone that the colony was built by ‘the cheap and efficient labour of the Chinese’. Many of these Chinese were Tankas, who made up the largest proportion of Chinese settling in Hong Kong. Indeed, by 1848, the first year when the population in the ‘Boats’ of Hong Kong was recorded, there were 6,000 Tankas, a substantial proportion of the colony’s total population of 20,980. Many more Tankas undoubtedly settled on land, embracing the opportunities provided by British colonisation. In addition to bolstering the population and thus the tax base of Hong Kong and contributing ‘cheap and efficient labour’ to the construction of the colony, the Tankas also played an important role in the daily administration of the colony. In particular, they became an important component of Hong Kong’s marine police, performing essential duties to the functioning of a port city. The first Chinese to serve in the marine police were likely Tankas, who have a long history in that institution. This shift from pirates to police was remarkable for a pariah people on the southern coast of China. However, perhaps the most impressive change in the fortune of the Tankas in colonial Hong Kong was their sudden ability to become members of the Chinese elite. The example of Lo Aqui reveals the opportunities for profit and piracy a British colony in China could create. Lo Aqui (Lu Yagui, alias Lu Jing) worked for various Europeans in Canton before 1839, and served as one of the main provisioners for British forces during the war. 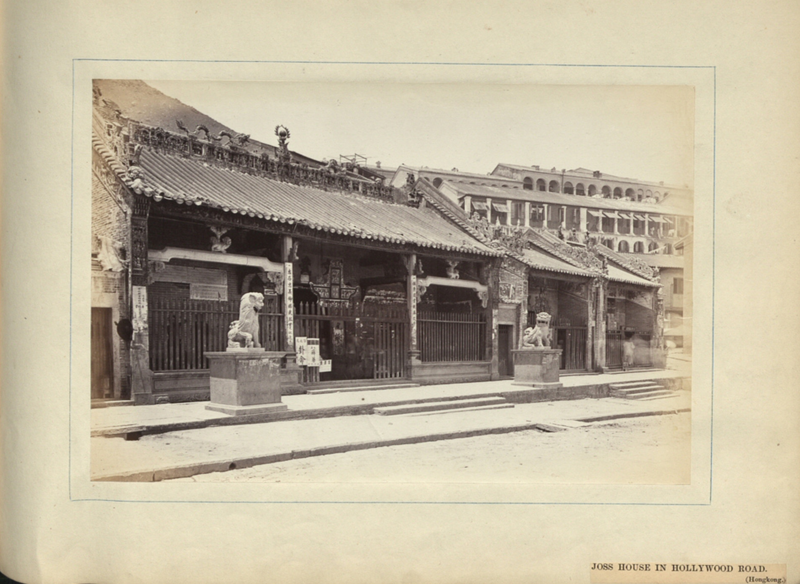 As a reward, he was given large land grants in Hong Kong’s Lower Bazaar. Landownership allowed Lo Aqui to accumulate a substantial fortune. In 1845, he used his wealth to purchase the opium farm, the most profitable of the government monopolies issued by the Hong Kong government as a source of revenue. He also used his wealth to help establish the Man Mo (Wenwu) Temple, which served as an important community centre for the Chinese in Hong Kong and assisted in local governance. In addition to establishing himself as an elite among the Chinese in Hong Kong, Lo Aqui also purchased a minor official degree, becoming a member of the Qing gentry in Guangdong. 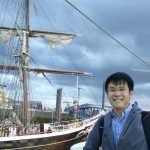 The opportunities provided by the British colonisation of Hong Kong allowed Lo Aqui to transcend his status as a marginalised Tanka and join the ranks of the Chinese elite in Hong Kong and China. However, early colonial Hong Kong also provided opportunities for Lo Aqui to engage in criminal activities. Lo likely used his wealth to bribe colonial officials to turn a blind eye to his illegal gambling houses, brothels, and piratical activities with which he supplemented his income and influence. As early as 1842, a Qing official noted that Lo was ‘well-versed in barbarian language’ and commanded ‘several dozen hanjian ships’ that ‘engage in plundering and pilfering’. Lo’s wealth and power in Hong Kong allowed him to continue committing piracy. As the owner of the opium farm, Lo Aqui could use the revenue cruiser for piratical purposes. Though he had moved onto land and become a member of the Hong Kong and Qing elite, Lo Aqui, nonetheless continued to engage in piracy. In this regard, he was like many other Tankas in early colonial Hong Kong. 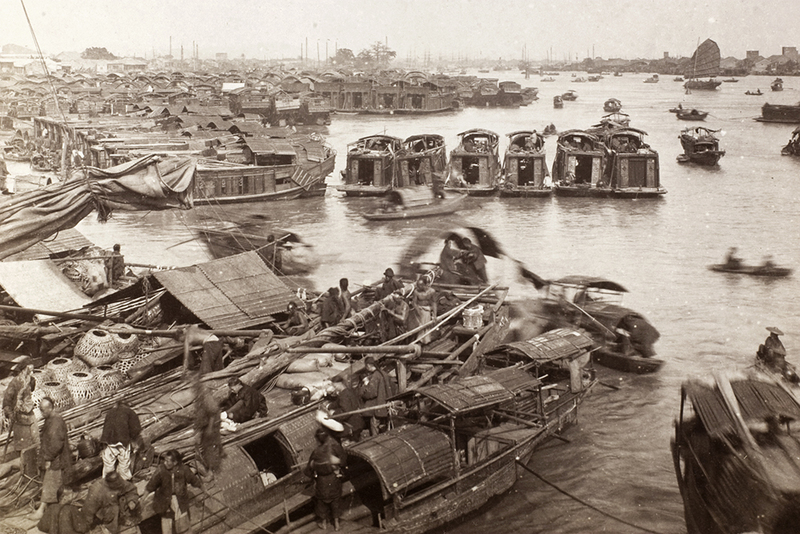 Though Hong Kong offered many opportunities for social and economic advancement for the Tankas, many nonetheless chose to continue their boat-bound existence. Furthermore, the conditions in Guangdong that pressured them into piracy persisted in the region. To protect Hong Kong’s trade, the raison d’être for colonisation, the British had to attempt to check piracy and exert control over surrounding waters. Rear-Admiral Sir Thomas Cochrane, commander-in-chief of the East Indies and China Station from 1844 to 1846, remarked that ‘Naval Officers are placed in a rather peculiar position in acting in aid of the Civil power in this Harbour, which is formed of Coasts of two different powers and one of them a very singular people’. Governor John Davis decided to resolve the problem by suggesting that Royal Navy ‘Officers might be justified in pursuing a very stringent and summary course within the limits of the Harbour of Hong Kong’. The problem of piracy became a justification for the British assertion of control over sea space contiguous with the Qing Empire. Exertion of such control depended largely on the ships of the Royal Navy. In addition to enforcing British authority off the shores of Hong Kong, British warships also played an important role in the suppression of piracy. Shortly after colonisation, Hong Kong became the headquarters of the East Indies and China Station. Within less than a decade, this station became the second largest in the Royal Navy after the Mediterranean Station. However, before 1856, the China seas were relatively peaceful, the only threat coming from Chinese pirates. 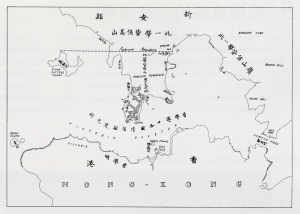 The strategic importance of Hong Kong in Sino-British trade, which had important economic ramification for the entire British Empire, necessitated a large naval presence to protect shipping from pirates, many of whom were Tankas. Warships, ostensibly sent to China to protect trade, also played an important role in gunboat diplomacy and in protecting and advancing British interests. When Chinese intransigence proved too stubborn an obstacle to British goals in China, the ships of the East Indies and China Station became the first actors in the Second China War (1856-1860). The activities of Tankas and other Chinese pirates thus provided a justification for the presence of British warships, which could be used for imperial expansion, in the China seas. The Second China War ended with the Convention of Peking, which contained an article for the cession of the peninsula of Kowloon to the British. The treaty claims such imperial expansion was made ‘with a view to the maintenance of law and order in and about the harbour of Hong Kong’. 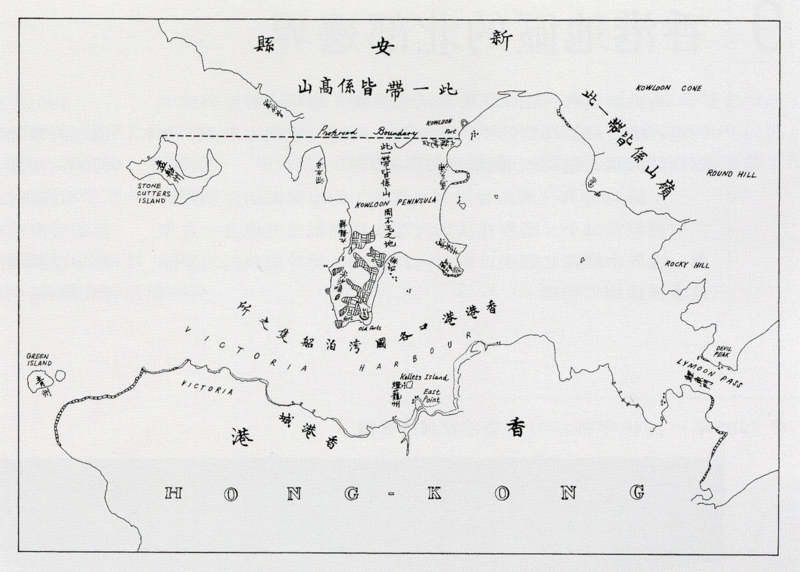 Captain Hall of HMS Calcutta states the motivation for the cession of Kowloon more bluntly: its ‘village is the resort to and receptacle of every vagabond who escapes from Hong Kong’. The British may have claimed jurisdiction over Victoria Harbour, but lacked the authority to deal with criminals, including pirates, who escaped to Kowloon. In order to enhance their control of the harbour, the British had to exert control over both Hong Kong Island and Kowloon on the other side. The Tankas played an important role in the development of early colonial Hong Kong. As collaborators they were instrumental to the development of the colony. Many took advantage of the lack of prejudice against them as well as the British quest for collaborators to join the ranks of Chinese elite in Hong Kong upon whom British rule depended. As labourers, leaders of the Chinese community, or water police, Tankas played an essential role in the functioning of the port and city of Hong Kong. However, as pirates, the Tanka also contributed to Hong Kong’s development. Piratical activities justified a sizeable naval presence in and around Hong Kong, the headquarters of the East Indies and China Station. Ultimately, the problem of piracy became so grave that the British resorted to the colonisation of Kowloon to suppress it. As collaborators, Tankas helped the British build and administer the colony of Hong Kong. As corsairs, they justified its expansion. Kê-ên Ho, “The Tanka or Boat People of South China,” in ed. F.S. Drake, Symposium on Historical, Archaeological and Linguistic Studies on Southern China, South-East Asia and the Hong Kong Region (Hong Kong: Hong Kong University Press, 1967), 120; James Hayes, The Hong Kong Region, 1850-1911: institutions and leadership in town and countryside with new introduction (Hong Kong: Hong Kong University Press, 2012), 25-32; Dian Murray, “Guangdong de shui shang shi jie: ta de sheng tai he jing ji [The Cantonese Water World: its ecology and economy],” in ed. Xiyong Tang, Zhongguo hai yang fa zhan shi lun wen ji di qi ji [Collected Essays on the History of Chinese Maritime Development, Vol. 7], 148. E.J. Eitel, Europe in China: the history of Hongkong from the beginning to the year 1882 (Hong Kong: Kelly & Walsh, 1895), 12. John M. Carroll, “Colonialism and Collaboration: Chinese Subjects and the Making of British Hong Kong,” China Information, vol. 12, nos. 1/2 (Summer/Autumn, 1997), 17. Eitel, Europe in China, 103; Jung-fang Tsai, Hong Kong in Chinese History: Community and Social Unrest in the British Colony, 1842-1913 (New York: Columbia University Press, 1993), 43-48. John M. Carroll, The Edge of Empires: Chinese elites and British colonials in Hong Kong (Hong Kong: Hong Kong University Press, 2007), 21-23. Charles Elliot, “Circular to Her Majesty’s Subjects,” 20 January 1841, quoted in Chinese Repository, Vol. 10, January 1841, 63. Palmerston to Elliot, 21 April 1841, quoted in Hosea Ballou Morse, The International Relations of the Chinese Empire, Vol. I: the period of conflict, 1834-1860 (Longmans, Green, and Co.: London, 1910), 642. On the ‘barren rock’ myth and its refutation see Christopher Munn, Anglo-China: Chinese People and British Rule in Hong Kong, 1841-1880 (Hong Kong, Hong Kong University Press, 2009), 163-173; Carroll, Edge of Empires, 159-160. James Hayes, “Hong Kong Island before 1841,” Journal of the Hong Kong Branch of the Royal Asiatic Society, vol. 24 (1984), 120-125. Tsai, Hong Kong, 19. See Article IX of the Treaty of Nanking quoted in Imperial Maritime Customs, Treaties, Conventions, Etc. Between China and Foreign States, Vol. I: Russia, International Protocol, Great Britain, United States of America, France. Import Tariff Agreement (Shanghai: Kelly & Walsh, 1908), 162. Davis to Gladstone, 15 April 1846, CO 129/16, 224. Eitel, Europe in China, 168. William Caine, “Population,” CO 133/5, 140. Iain Ward, Sui Geng: the Hong Kong marine police, 1841-1950 (Hong Kong: Hong Kong University Press, 1991), 10-11. Christopher Munn, “Lo Aqui” in ed. May Holdsworth and Christopher Munn, Dictionary of Hong Kong Biography (Hong Kong: Hong Kong University Press, 2012), 274-275; Munn, Anglo-China, 73-78 and 98-103. Memorial by Hu-Guang Circuit Censor Lü Xianji, 2 July 1842, YWSM, DG 52/3. Eitel, Europe in China, 236; Munn, ‘Lo Aqui’, 274. Cochrane to Davis, 28 July 1844, ADM 125/145, 56. Davis to Cochrane, 29 July 1844, ADM 125/145, 61. Gerald S. Graham, The China Station: war and diplomacy, 1830-1860 (Oxford: Clarendon Press, 1978), 246-250. For an excellent discussion of the causes of the Second Opium War, see John Wong, Deadly Dreams: opium and the Arrow War (1856-1860) in China (Cambridge: Cambridge University Press, 2002). See Article VI of the Convention of Peking in Imperial Maritime Customs, Treaties, 241. Captain Hall to the Earl of Hardwicke, 2 March 1858, ADM 125/2, 708.